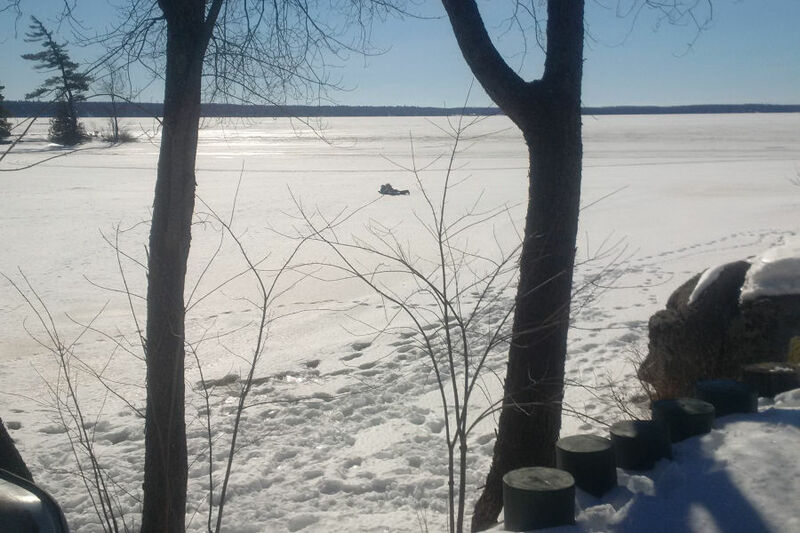 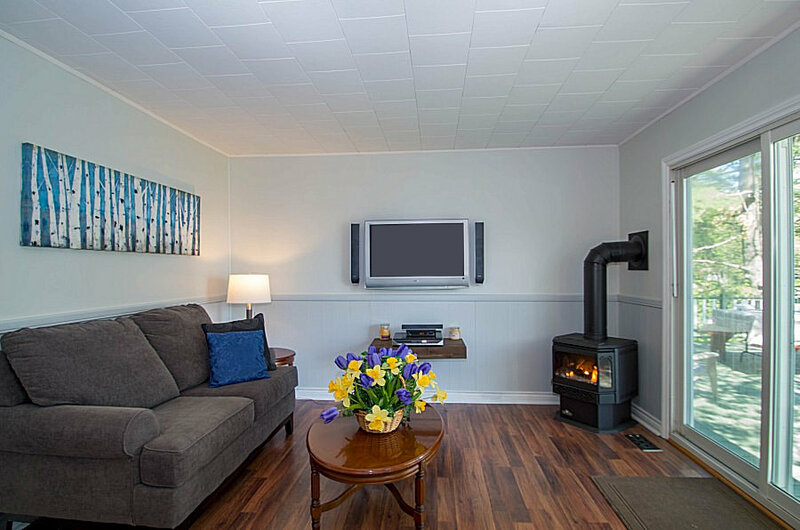 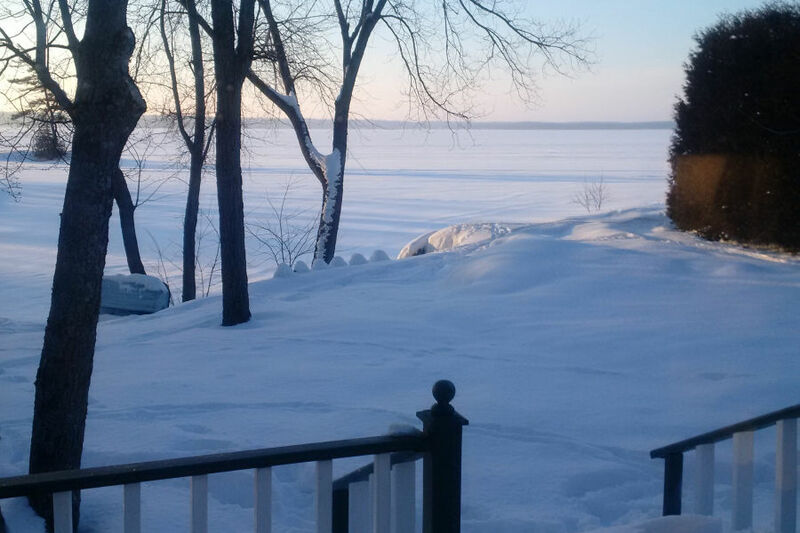 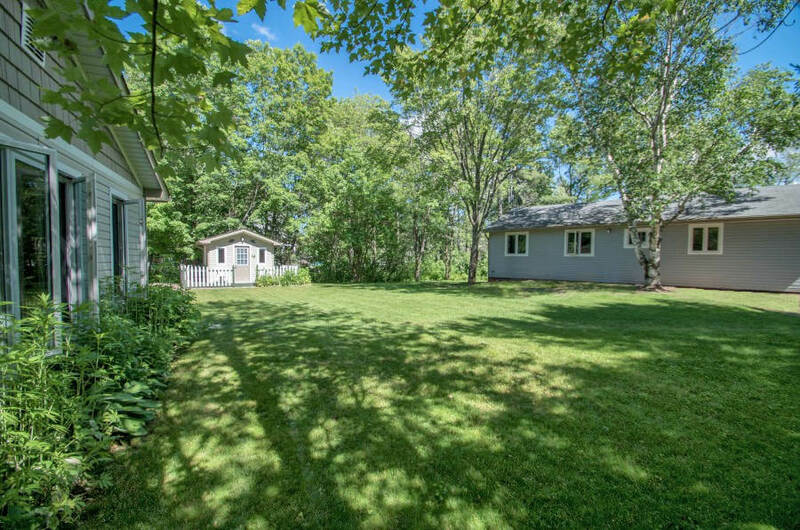 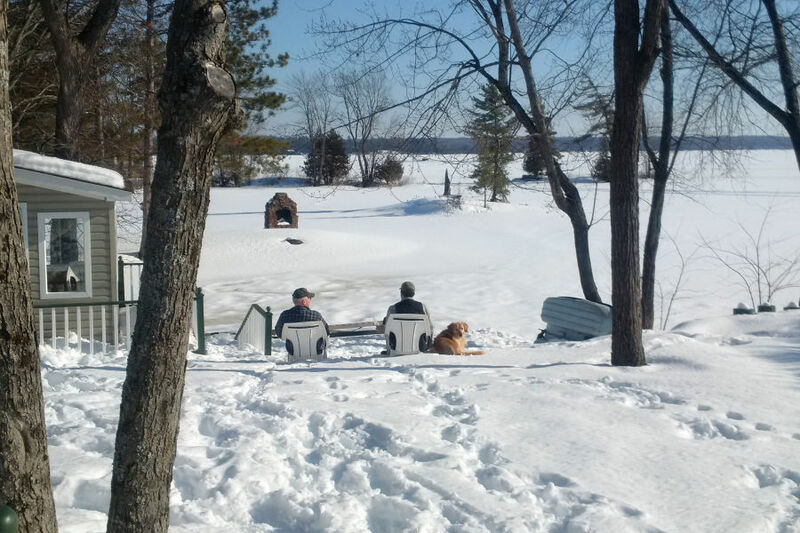 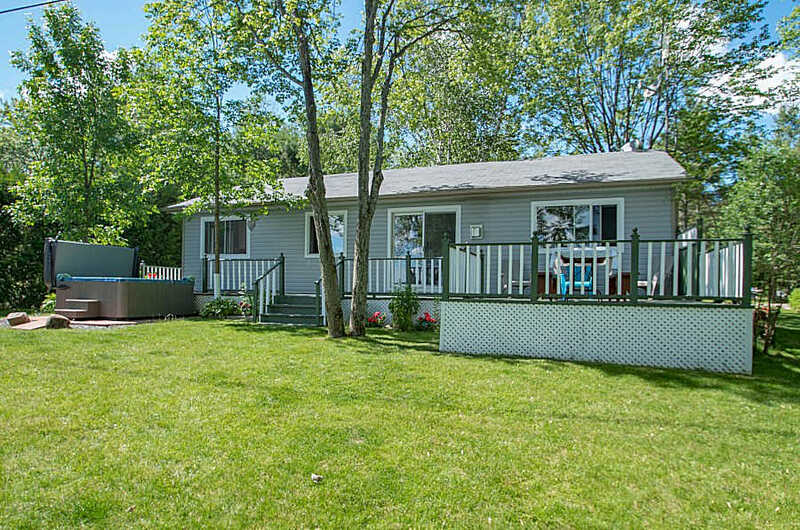 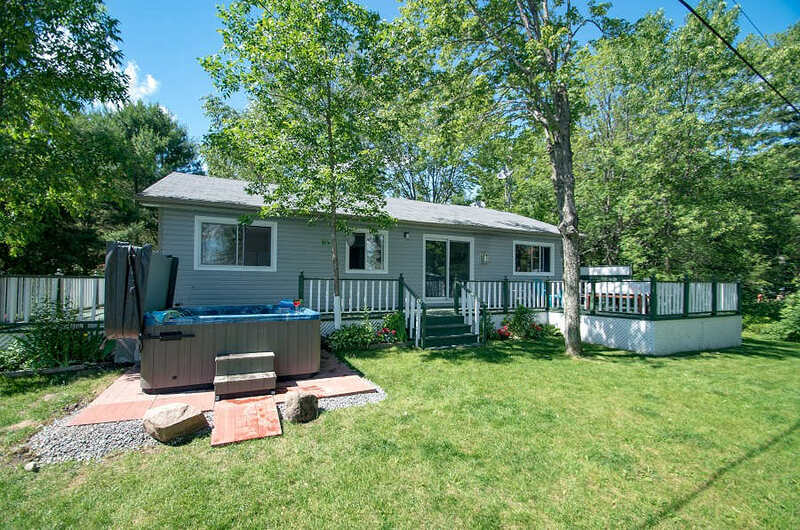 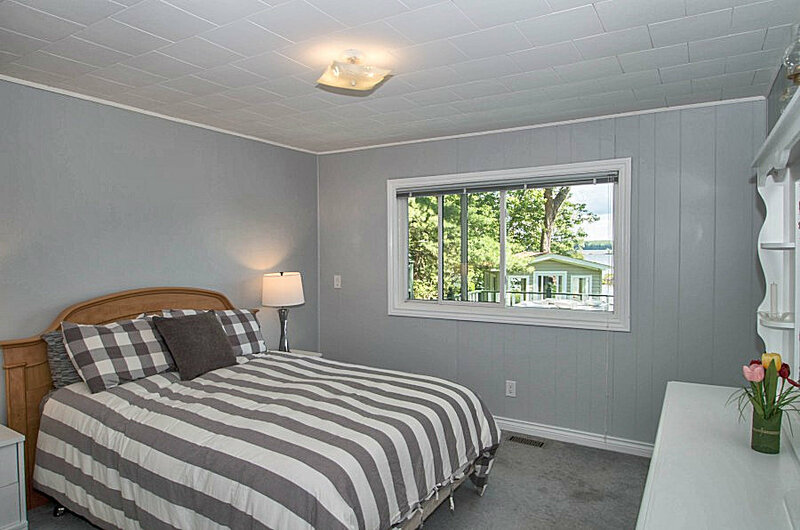 This great spot just east of Orillia is the perfect location for a vacation at any time of the year. 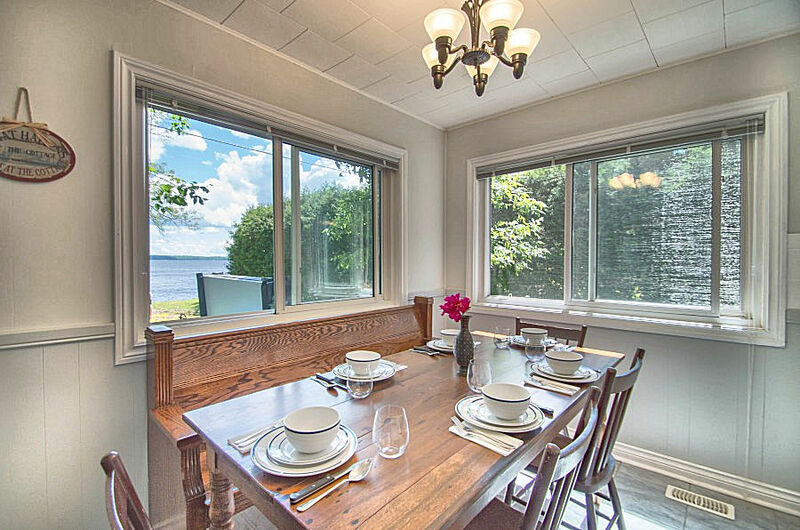 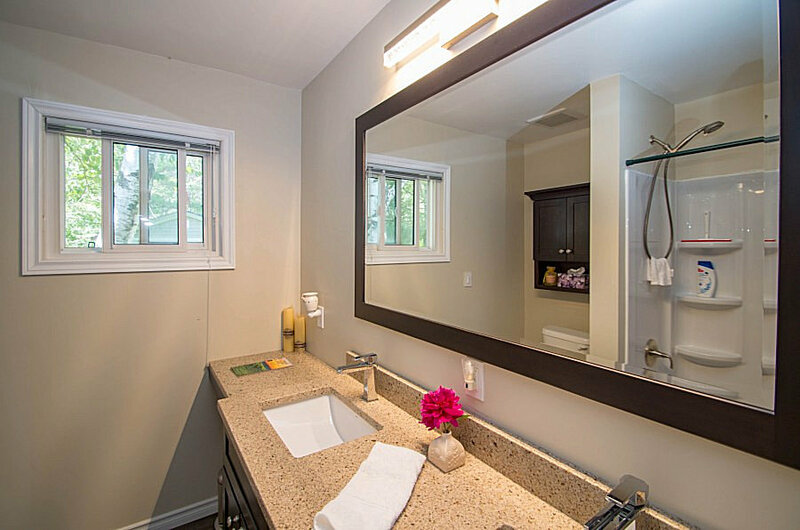 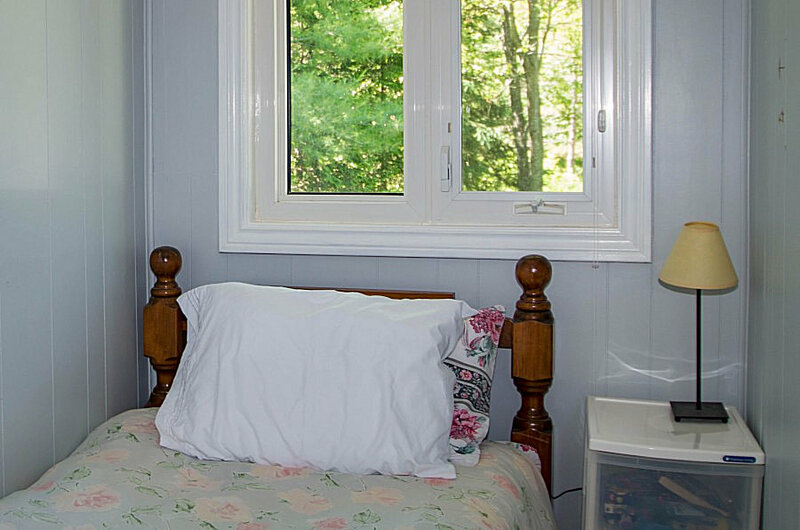 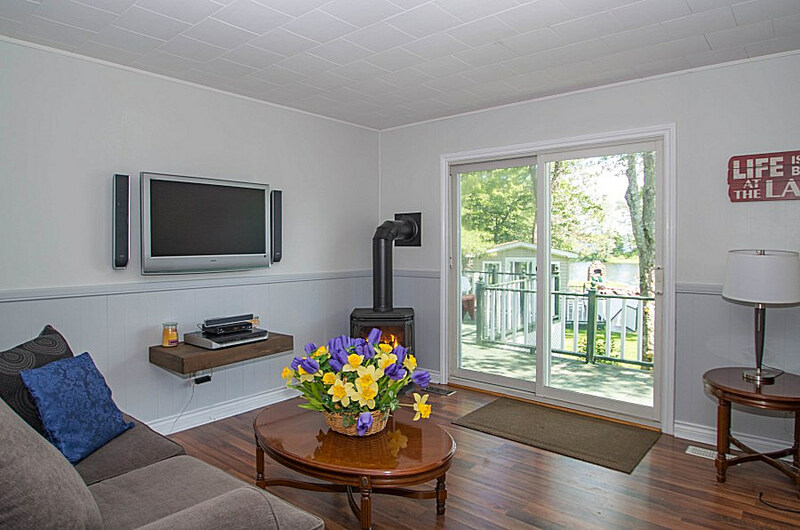 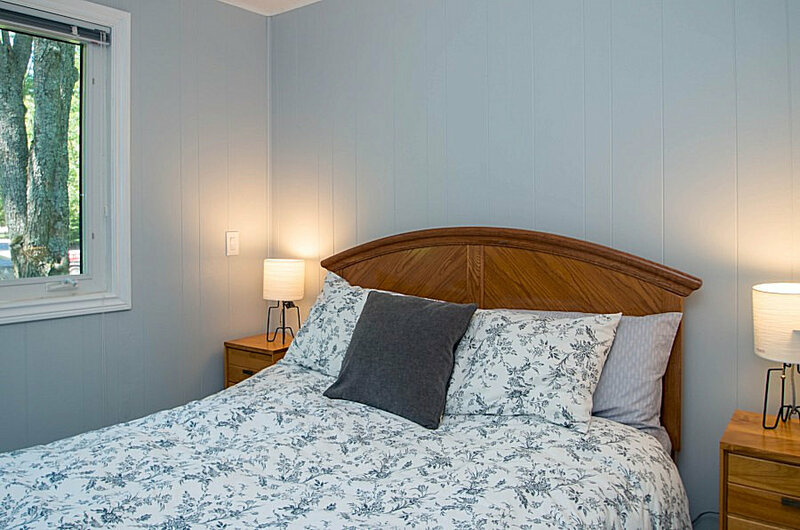 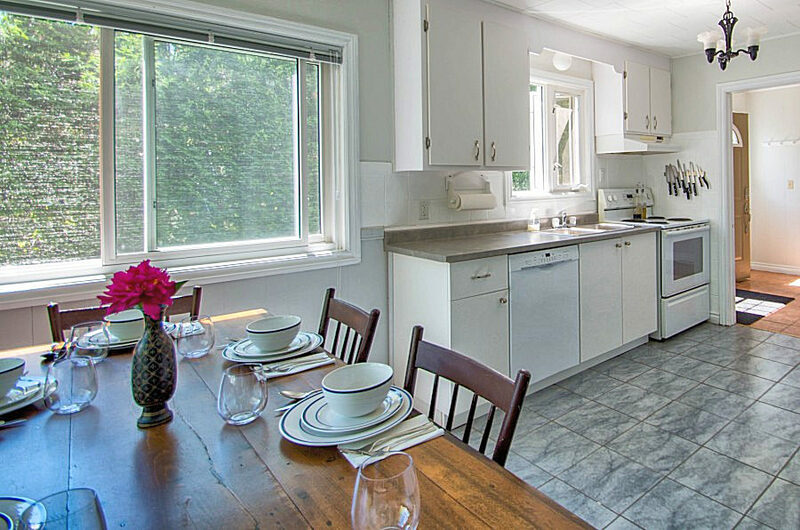 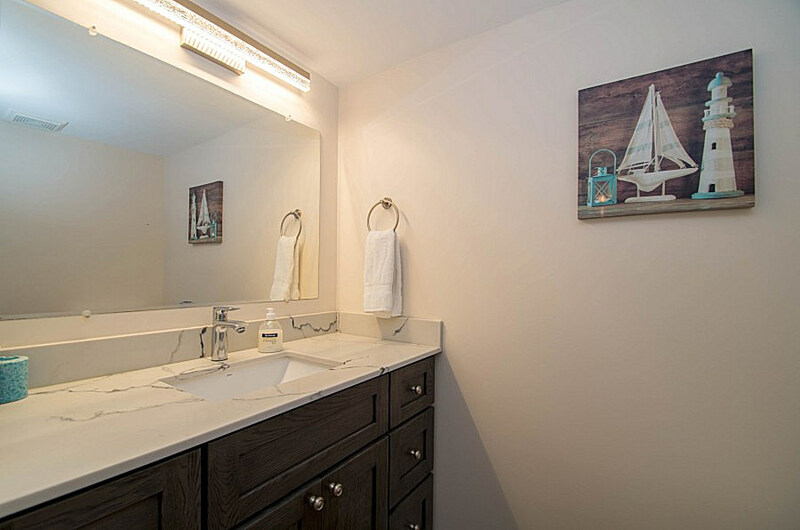 In summer the gorgeous waterfront views will keep you mesmerised from the dock or delightful screened gazebo on the water, while fall and winter travel finds you close to Casino Rama and the Orillia Opera House for events and concerts. 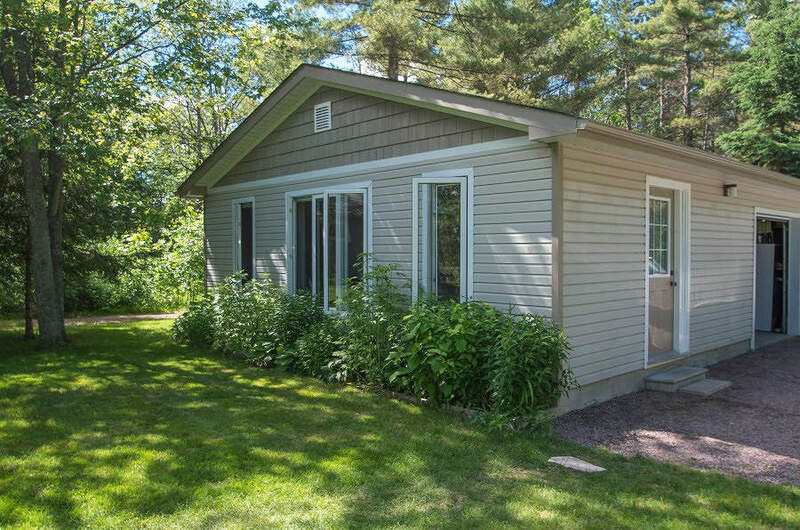 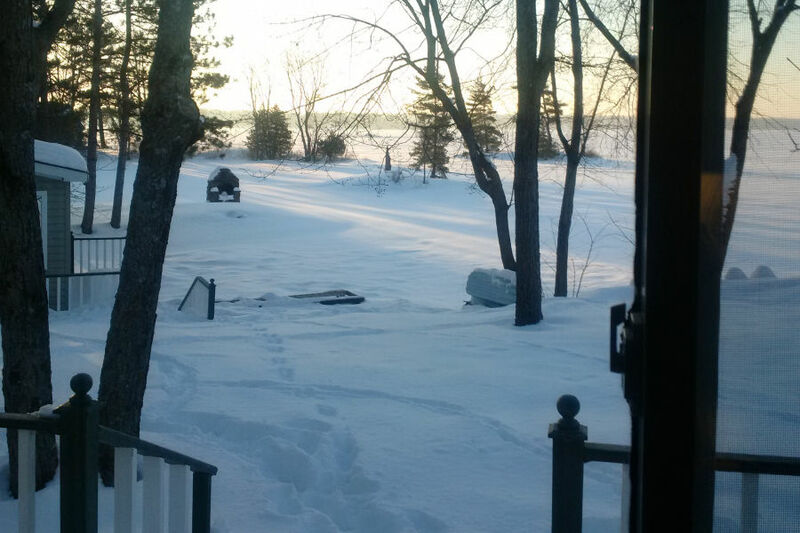 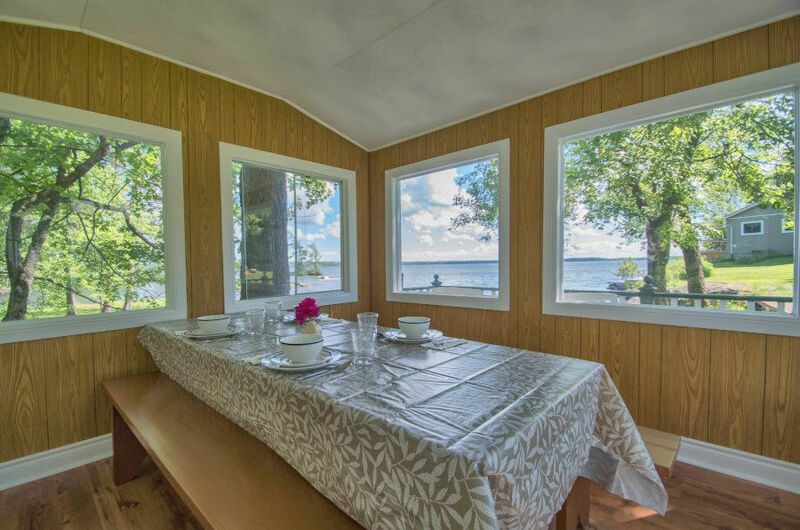 The cottage is located in a bay at the north end of the lake - a quiet spot yet benefiting from the expanse of open water and great swimming. 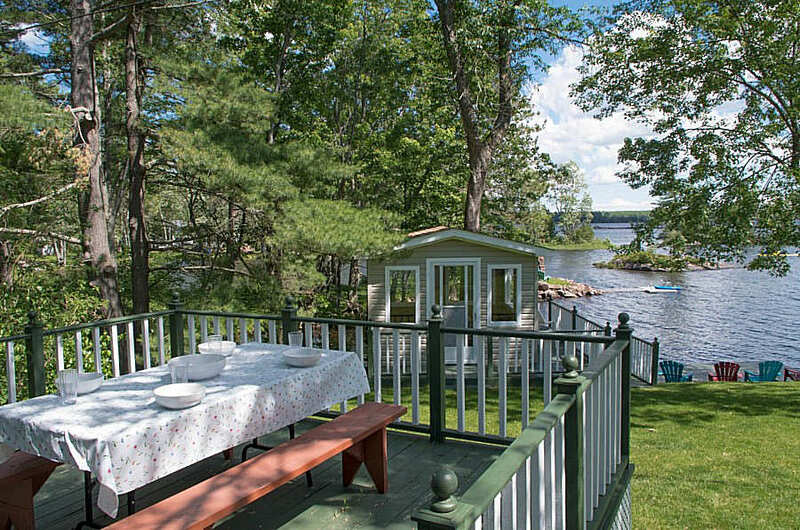 There's plenty of green space for playing outdoor games and of course a firepit for evenings of s'mores and stories. 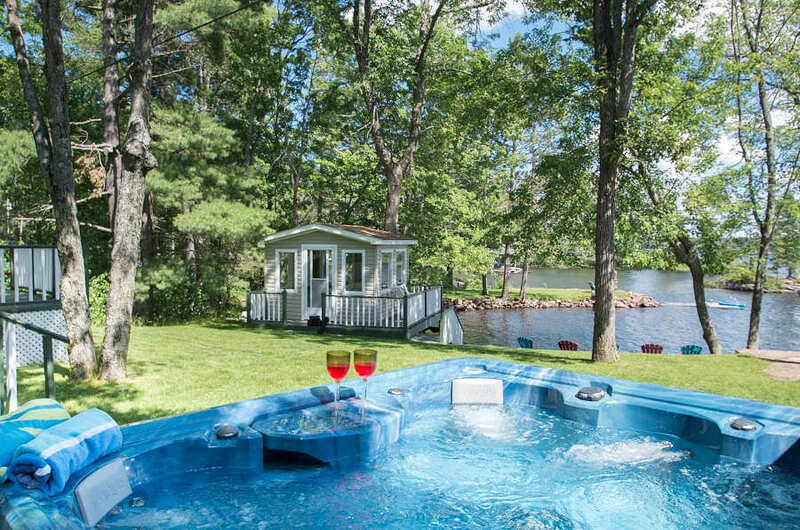 Then relax in the hot tub at the end of a busy day and enjoy nights of moonlight and endless stars. 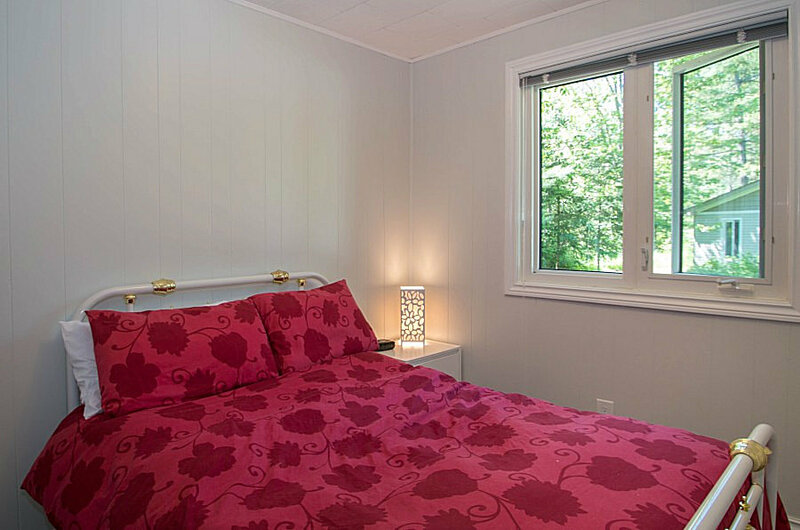 The accommodation is as extensive as the property with 4 bedrooms in the main cottage and two separate guest cabins. 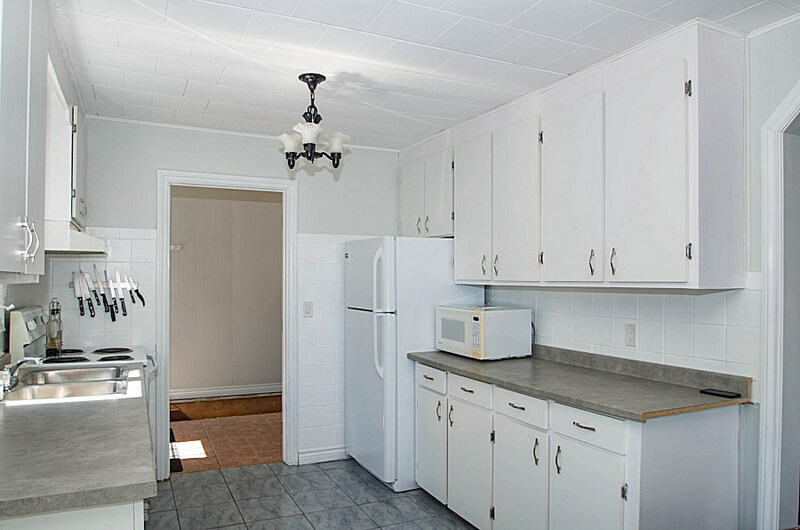 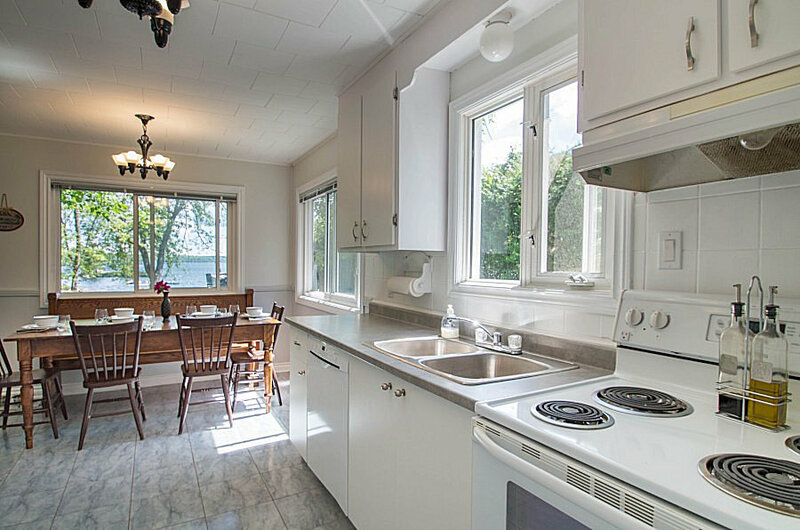 The kitchen and dining area are light and sunny and there's a comfortable living area for curling up with a good book if the weather doesn't play nice. 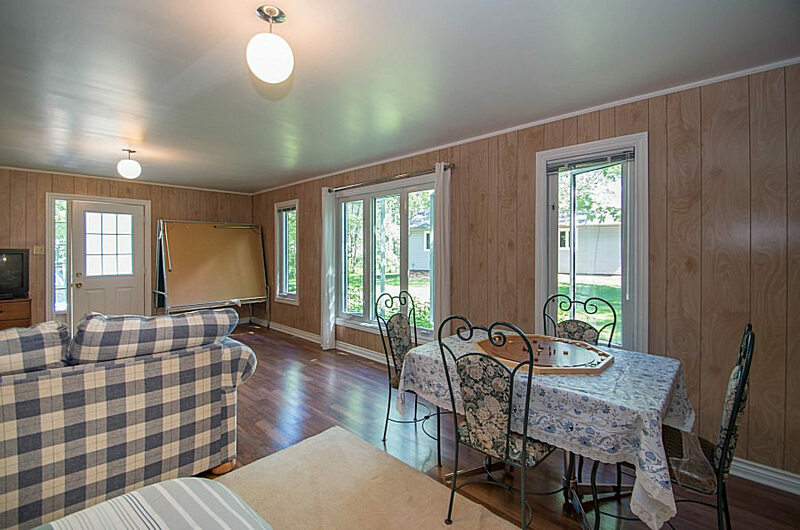 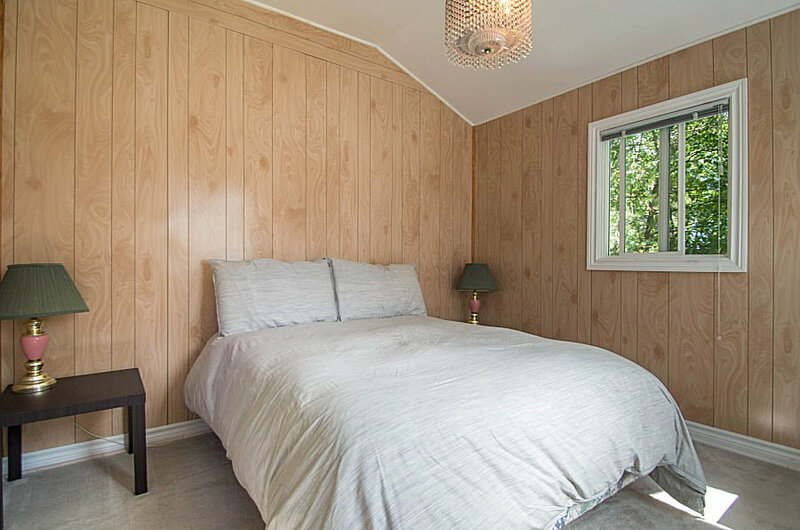 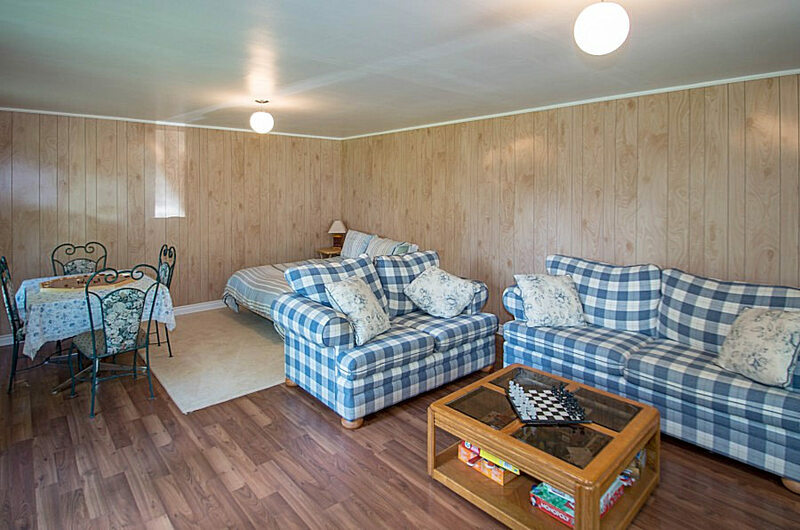 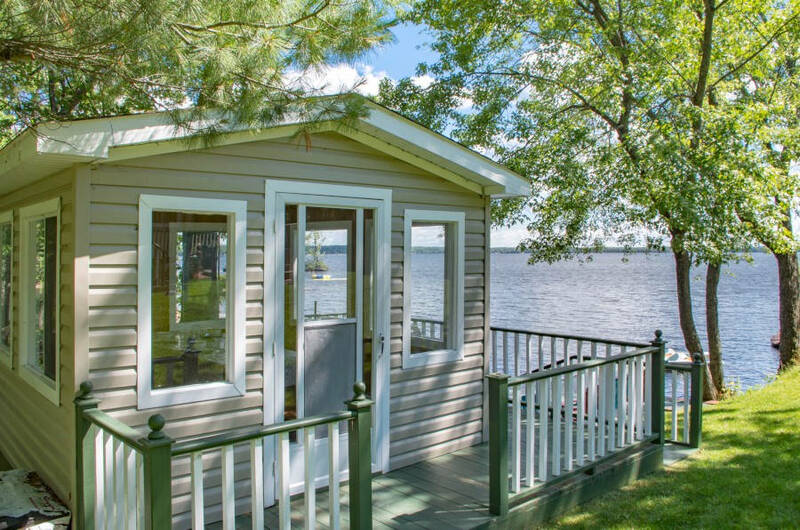 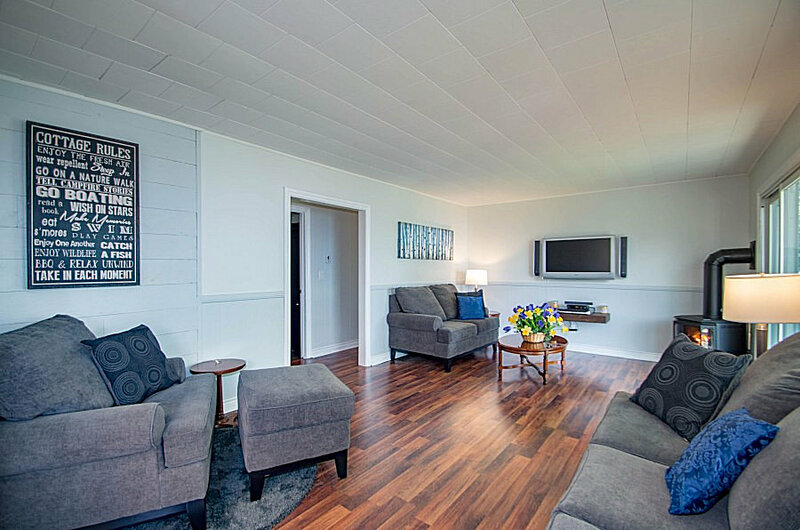 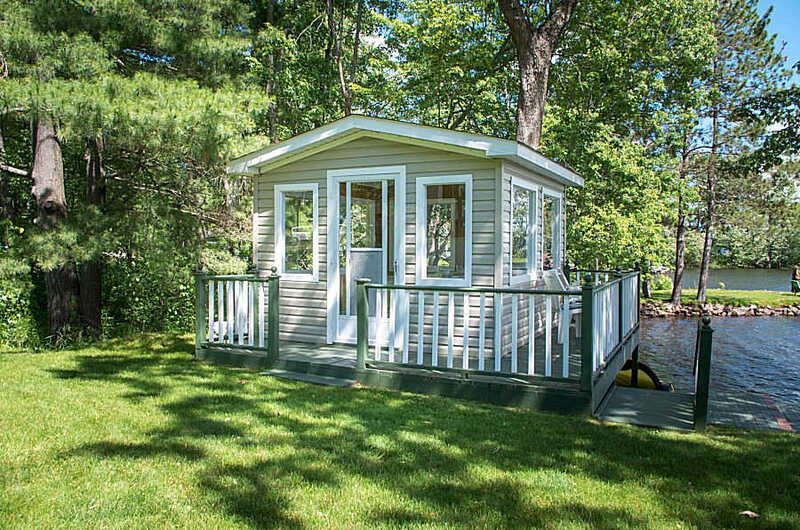 The Bunkie has a double bed, while the larger cabin is spacious and also has a seating area. 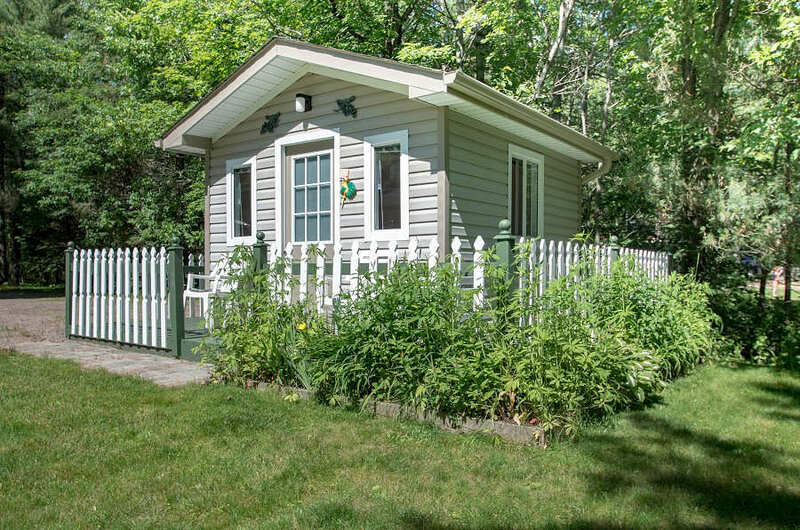 Neither cabin has washroom facilities but it's just a short walk to access these in the main cottage. 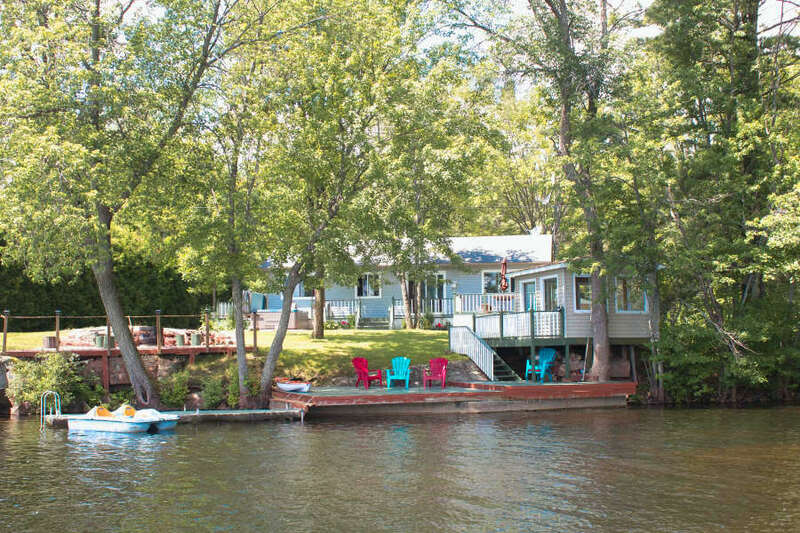 The cottage sits in a quiet bay in clear and clean water. 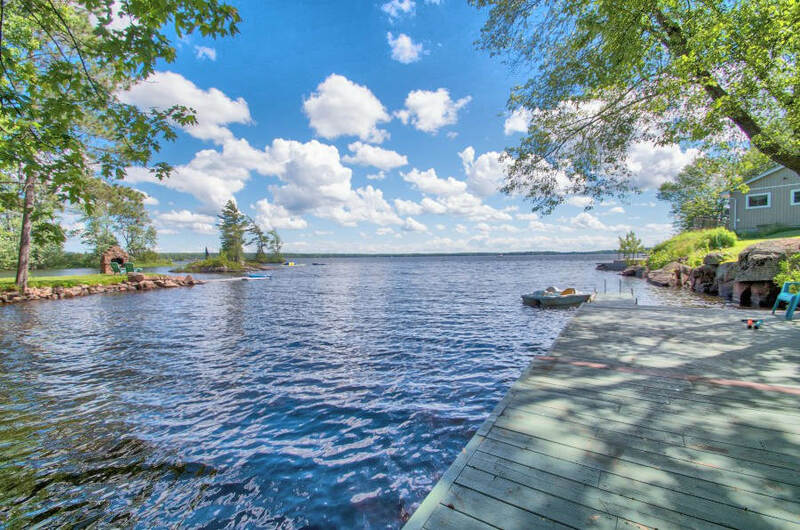 The waterfront is rocky in places and access is easiest off the dock into around 3ft of water. 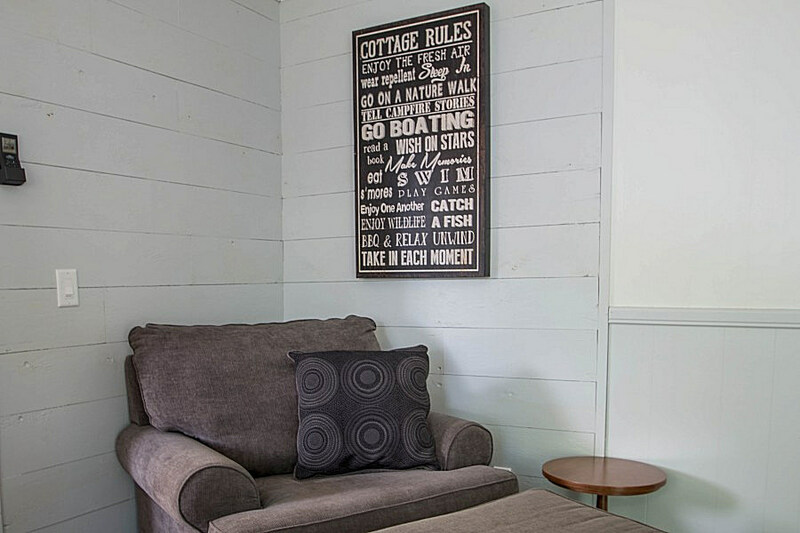 There is rock and sand underfoot so water shoes are necessary for comfortable wading. 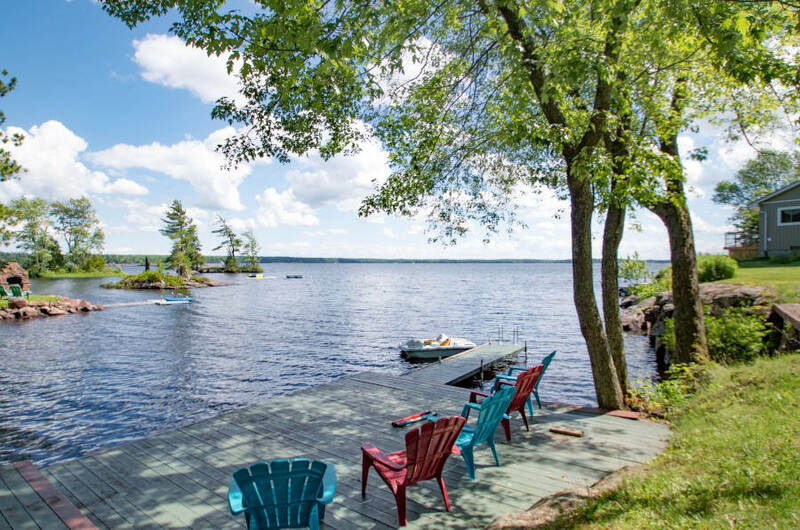 Swimming is good in the bay and out to the lake where you’ll find a small island or two.